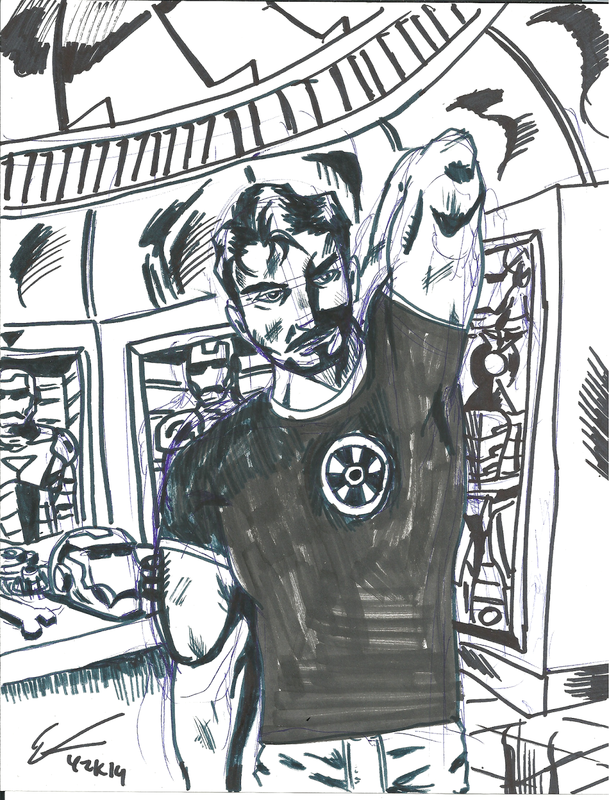 This is my attempt to make some beefcake art with Tony Stark. It is pretty obvious that I did this with no pencils, erasers, rulers, or any real drawing tools. The background is pretty hodge podge with the lines and consistency. With that being said, I really like how his hair came out. Tony was done with a myriad of stuff. I sketched him out with a blue pen and then done over with a Crayola thin tip marker. I tried to black out his shirt with a fat Crayola marker and also a dry erase marker.